Erzullie Fierce Plus Size Fashion Philippines: PLUS SIZE OPINION: DID WE TURN INTO THE BULLY THAT WE HATE? 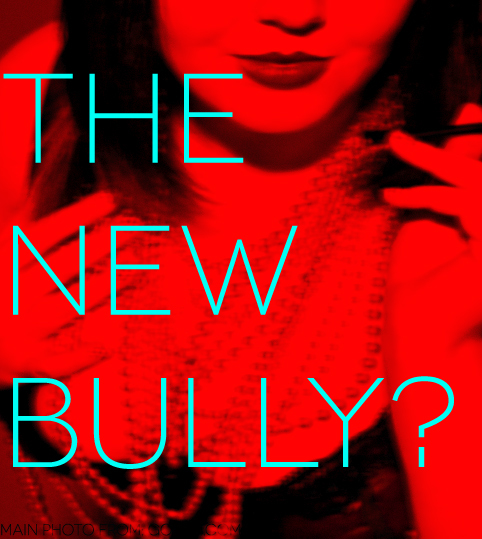 PLUS SIZE OPINION: DID WE TURN INTO THE BULLY THAT WE HATE? We open our social accounts and we can actually see a lot of photos, sayings etc. that generally states "plus size women are better than skinny women". There are times that we read how some people call skinny women "bag of bones" and how much better being a plus size is. Even worse, we actually crucify plus size women who have shrunk a size, screaming "fraud", "sell out" or "stupid"! All these efforts, I guess are for the plus size empowerment, but I have to ask, isn't this what we are fighting against? Discrimination of women's size? In addition to that, aren't we also bullying them for being who they are? I remember in the old Tyra Banks show where there was an anorexic model and a plus size model having a debate on what real beauty is. Obviously, the anorexic model was saying that being thin is beautiful, while the plus size one is saying that being "curvy" is beautiful. Unfortunately for the anorexic girl, there were a lot of regular to plus size women in the audience and she got burned in the stake for her belief. Weird enough, I remember that in that episode (if I remember it right), nothing was solved. The anorexic girl still believes that she's beautiful the way she is and so did the plus size model. NO ONE WON OVER THE OTHER. Another issue would be plus size model, Crystal Renn and her issue of losing weight to get more modeling contracts. Some applauded. Some didn't. Then there were some that hated her and told her how much of a fraud she was and how she was not strong enough to withstand the pressure of modeling. What was worse for me was that some already labeled her as 'ugly' just because she lost weight. I like her response though. It was something like she didn't want to be labeled in any size. The issue died of course and now, some parts of the plus size community are hunting for the next would-be losing weight plus size model. I haven't heard of anyone new yet. Personally, for me, it's all good if you are celebrating the beauty of plus size women because just like any women --- we are beautiful, but to put down the opposite size of the size range is never a great idea. We came from that side of the situation, ladies. Shouldn't we learn from that experience and make sure NO ONE feels that ever again? Instead of fighting dirty by calling thin people ugly, can't we just join hands (a little cheesy, but sure why not?) and fight for the right to be beautiful in every way we are? Furthermore, can't we just really practice what we preach? Body acceptance and "no to body shaming"? Let's just accept that fact that there are different types of bodies out there and there is absolutely no need to shame them to feel good about our own bodies. If you want to promote plus size beauty then just keep on showing it in different ways. There is absolutely no need for us to say why we are better than the opposite side, AS MUCH AS THEY DON'T HAVE THAT NEED either. So how about you? Is the plus size movement of shaming the skinnies right or did we just turn into the bully that we hate?